The BT Vector C-series offers three very narrow aisle truck models with a load capacity ranging from 1 to 1.35 tonnes. 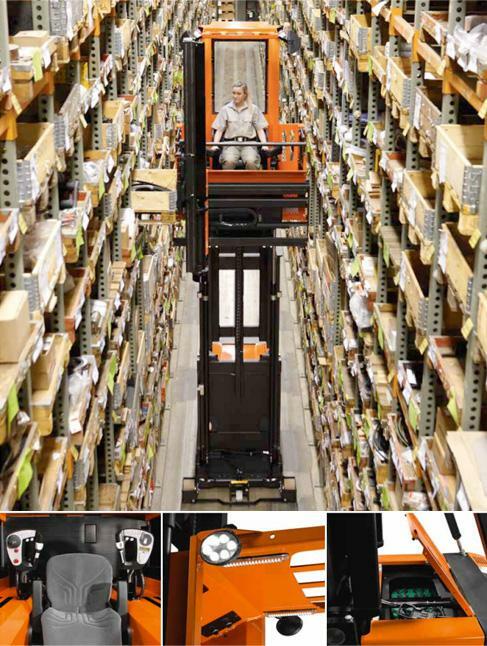 Our VNA “combi” trucks are able to perform both full-pallet handling and order picking at heights in narrow aisles. Designed for wire or rail guidance, these forklifts can handle loads up to heights of 13.6 metres. Additional features include special truck fork units, which can pick up and deposit loads at both the left and right side without compromising productivity or safety. Designed to be comfortable, durable, productive and safe, the BT Vector C-series of high performance very narrow aisle trucks allow on-site installation with minimal time and cost. BT Optipace comes as standard, adapting truck travel and handling speeds according to truck lift height and load weight, maximising truck performance without compromising safety. 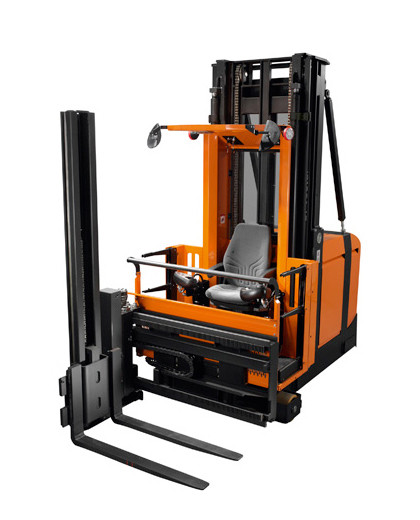 All narrow aisle trucks in this series have fingertip control for fast and precise load handling.